In a small saucepan, cover the diced potatoes with 3 centimetres of cold water and bring to the boil. Lightly salt the potatoes and cook them until just tender, about 8 minutes. Drain and put aside. In a large skillet, cook the pancetta over moderately high heat, stirring occasionally until almost crisp, about 7 minutes. Add the potatoes and cook, stirring occasionally until lightly browned, about 5 minutes. Add the calamari and cook until it turns milky white, 1 to 2 minutes. Stir in the piment dEspelette and clam juice and cook for 30 seconds longer. (Take care not to overcook!) Season with salt and serve immediately. 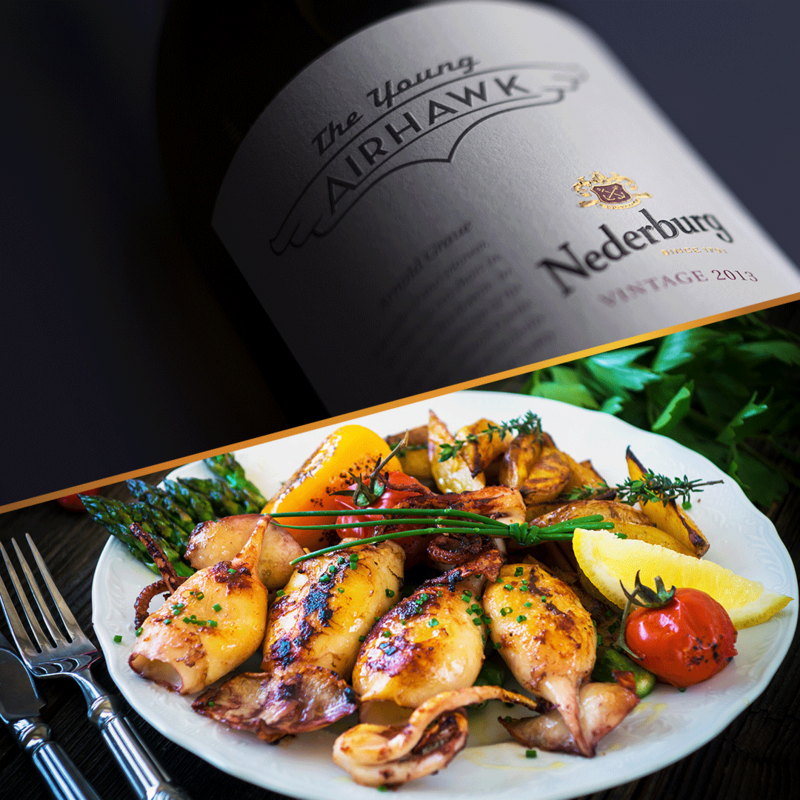 Enjoy this dish with a glass or three of Blanc Fume (The Young Airhawk) from the Nederburg Heritage Heroes range. The piment dEspelette used here is not too spicy but has enough kick for you to know that it is there. 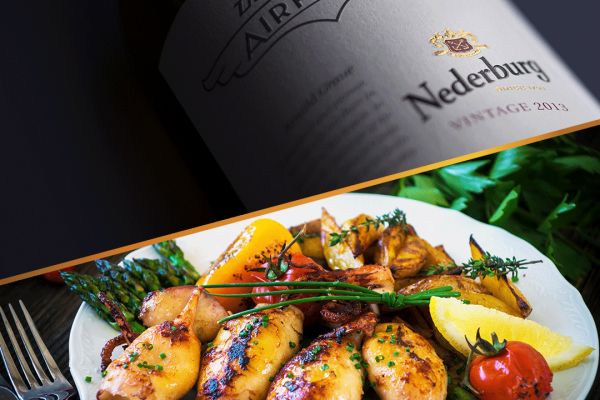 Generally, spices are not a problem for wines, whether in savoury or sweet dishes, as they (contrary to popular belief) do not alter the taste of wine.